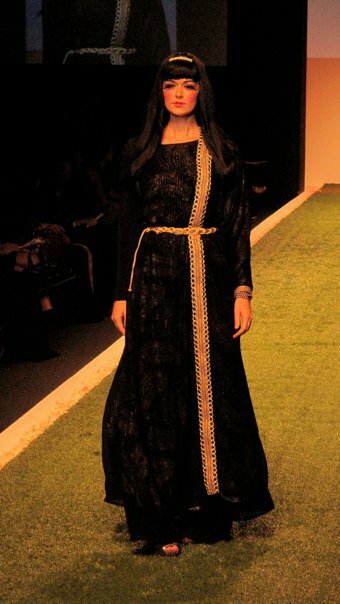 ‘The Tent’ at the Atlantis/ The Palm echoed glamour and chic during the opening of the Dubai Fashion Week Spring/ Summer 2011. Red carpet with stretched limousines, paparazzi, tv cameras, be-muscled security guards and elegant ladies in chiffon, Christian Louboutins, Hermes and diamonds bedazzled the glitzy event. I was awed and amazed by the high tech spectacle plus the contemporary ambience of the latest DFW 2011, the well organized event is international in approach and at par with any other fashion weeks anywhere in the globe. 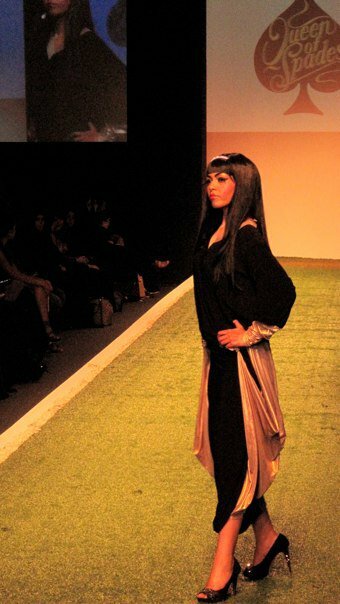 The runway shimmers in glowing lights and the arrangement was commendable. 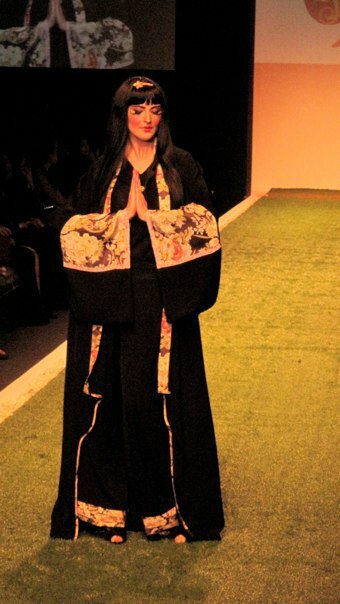 Hanami-Queen of Spade by Lamya Abedin at 8 pm was my first runway show. 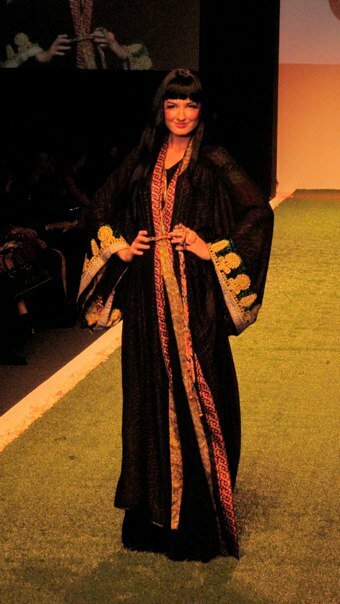 The collection was Oriental inspired Abayas- traditional cloak by Arabic ladies with a twist. 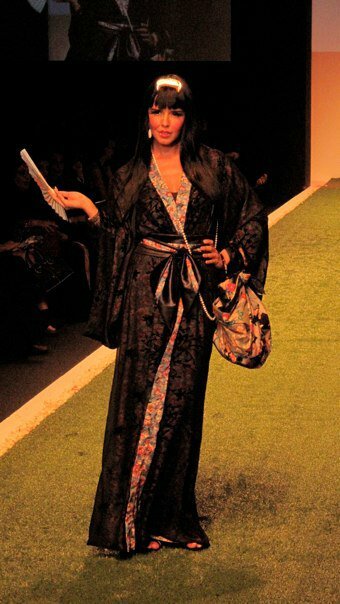 The black abayas were dramatized with kimono sleeves in vivid prints. 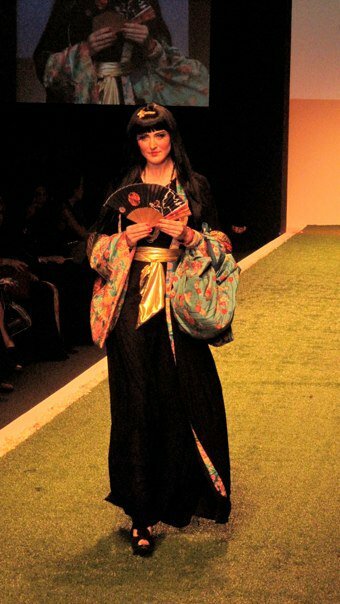 Gold embroideries on the lapels with belts, draped laces on top and japanese doll faces completed the look of the queens on runway.